The forehand was bad in all of her matches. But Kenin was the first quality opponent that could put pressure on the weaker aspects of her game. But I find that a player’s weakness will always show its face irrespective of whether their opponent is aware of it. Let’s assume that Kenin was simply retrieving well or serving well, Azarenka will feel the need to raise her level to pierce Kenin’s defence or to match Kenin’s easy service holds. And so she will naturally put pressure on all aspects of her game to produce this higher level of tennis. But because the forehand is such a technical mess, she routinely fails to achieve it. It sounds almost redundant but Azarenka will always look great right up until the point that she doesn’t. 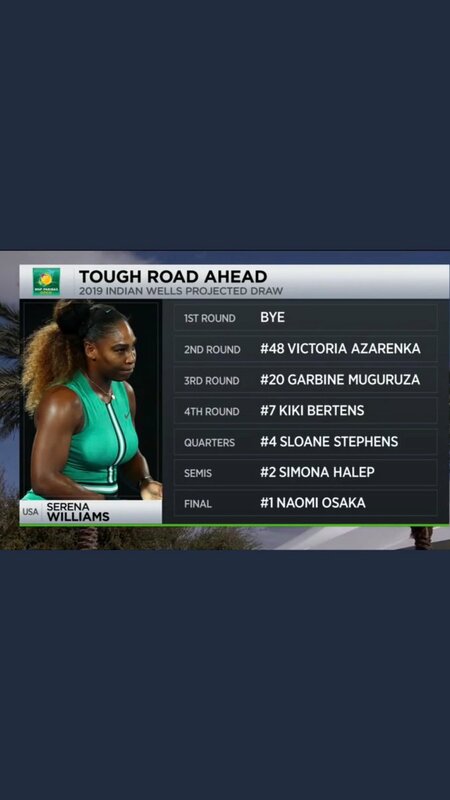 That’s why people keep getting excited when she dominates a weak opponent that doesn’t pressure every aspect of her game & they make ridiculous claims that she is “back” or even that she is playing “top 5 tennis”. But I find that a player’s weakness will always show its face irrespective of whether their opponent is aware of it. Let’s assume that Kenin was simply retrieving well or serving well, Azarenka will feel the need to raise her level to pierce Kenin’s defence or to match Kenin’s easy service holds. Yes, at least in some cases. I was just thinking about how someone like Garcia can look great on her FH wing when allowed to dominate with it, while it will often spray like an unattended garden hose when put under pressure. Not sure exactly about the technical nature of Azarenka's FH as I don't follow her closely enough. X was up a set and break in Paris. That qualifies as a choke. Ed Hominan and Haleptard like this. ^^Some great R2 matches there, I hope they deliver starting today. I just want to let you know I can read minds. It's a quality not everyone has. And McNally - who qualified for the main draw - had a good tournament. Last edited by rucolo; Mar 10th, 2019 at 05:00 PM. 18 yo Andreescu and 19 yo Vondrousova impressed so far ! 18 yo Andreescu and 19 yo Vondrousova reached the QF ! At this point I am expecting a Bencic-Andreescu final. I hope Kerber takes it though just for that insufferable thread in GM to die.